Husky portable air compressors is one of the leading brands in the market right now. 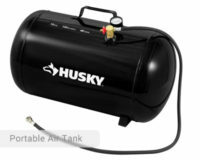 With a wide selection of available air compressors nowadays, Husky stands out because of its cheap costs, durable materials, and unique features. It is also convenient for consumers to purchase models made by Husky because the replacements parts are easy to find, usually in the same local home store. It has always been the goal of Husky to offer reliable services, high-quality products, and satisfying customer service. There are a lot of things to consider in choosing the perfect air compressor. First and foremost, you should know the sort of tasks that you will be undertaking using the compressor. Is it mostly light or heavy-duty tasks? Also, you should determine the pneumatic tools that you want to be powered by the machine. Will you be using simple nailing guns or the more complicated grinding tools? Another thing that you have to think about is the capacity of the reservoir or receiving tank. Will you be using the air compressor mainly for domestic purposes or for industrial ones? Of course, your budget is also important. Will your air compressor be worth every dollar that you spend for it? The model of air compressor that you should buy will rely heavily on these factors. Having the best and most appropriate portable air compressor for your needs ensures good output and high-quality air delivery. Your safety is also guaranteed when you purchase the right one. Whatever your considerations are, Husky will surely have something to offer. Here are the products being offered by Husky based on several factors. 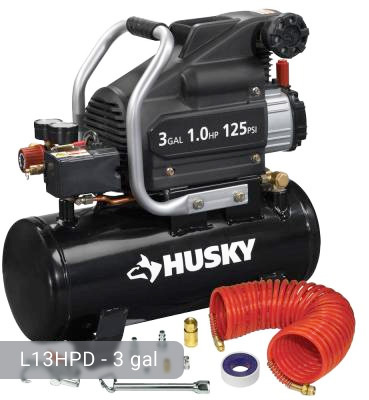 Husky portable air compressors range from having 3 gallon to 33 gallon capacity tanks. Again, depending on the desired level of activity where the compressor will be used, these tanks vary. Yes, even those with bigger reservoirs still have good portability. Although they are heavy already for a normal-sized person, they are considered portable because they have handles and wheels which make them easy to transfer from one place to another. For heavier ones, they have larger plastic or pneumatic wheels (up to 9 inches) that are perfect for all types of surfaces. The tanks also vary based on the style or orientation. Some stood tall vertically while some are horizontally oriented. There is also a twin-tank configuration such as that of the 4-gallon model that allows multiple tools to be powered simultaneously. The portable air compressors of Husky can either have an oil-free pump or an oil-lubricated pump. The oil has a significant contribution in the smooth operation of motor pumps. 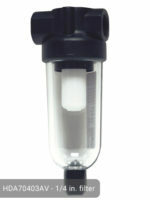 It also ensures that the pump will last long despite very high pressure requiring tasks. However, having an oil-bathed pump requires the user to perform maintenance activities such as oil changing and monitoring the pump for oil leaks and residues. For people who don’t have the luxury of time to do these extra activities, an oil-free pump is better. Some of the models that are Oil Free include Husky 33-gallon and 4.6-gallon portable air compressor. They operate very quietly which makes them convenient both for indoor and outdoor use. On the other hand, the models that are oil-lubricated include Husky 3-gallon and 8-gallon portable air compressor. These models usually have an oil sight glass so that the home owner can easily view if the oil already needs changing or not. The standard cubic feet per minute (SCFM) and psi demands of air tools should be matched with the specifications of the air compressor. Husky portable air compressor can deliver air from as low as 3 SCFM to 15 SCFM at 90 psi. This range is strong enough to meet the minimum requirements of certain tools used for different tasks such as framing, nailing, and air brushing. Make sure that you check the instructions on the manual of the tools so you would know which air compressor is their best match. Most of Husky portable air compressors are powered electrically by a typical 110-120 volt power supply. Those which use more a motor unit that produces a power output of 2 HP would require a 220-240 volt power supply. Some can also be plugged in the car console and can be used for emergency purposes such as when one experiences having a flat tire. The models of Husky also vary in its power output. Those with higher power output are somehow more expensive but can definitely perform your heavy tasks. 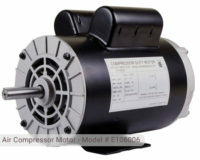 Sound output is also another factor in choosing the best air compressor. Husky offers ultra-quiet performing portable air compressors. The 33-gallon quiet model only has a 78-decibel rating. Considering its huge capacity, it runs quietly making it possible to have a normal conversation while doing a certain task. Not all models are ultra-quiet though. There are some which produce a certain level of noise. However, the noise can be tolerated and would not pose risks on the human sense of hearing. If you are sensitive with noise and other sounds, you may ask the store for Husky quiet models. 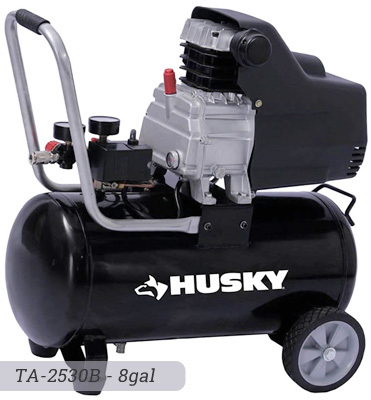 Husky portable air compressors may also have additional features that come with the package. These may either be accessories or critical parts that can significantly improve the performance of the compressor. 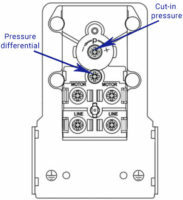 Examples of which are pressure switches or pressure gauge that can assist in the monitoring and delivery of the air pressure within the compressor. Husky 3-Gallon air compressor has an additional accessory kit that has 9 tools including a safety nozzle, inflation needle, and male and female plug. As you can see, Husky has a lot to offer when it comes to portable air compressors. Whatever your preferences and needs are, Husky will have something for you. The brand stays true to its vision and ensures that it is able to keep up with the latest trends and technology in the air compressor business. Looking for customer service please. The motor on my 60 gal compressor started to burn up and stopped working VT631403AJ – SER L5/8/08 00163 Bought from Home Depot. Can I get a replacement?